If you or your organization would like support from the National Network on taking any of the proposed actions, please contact the National Network at nnwqt@willamettepartnership.org. 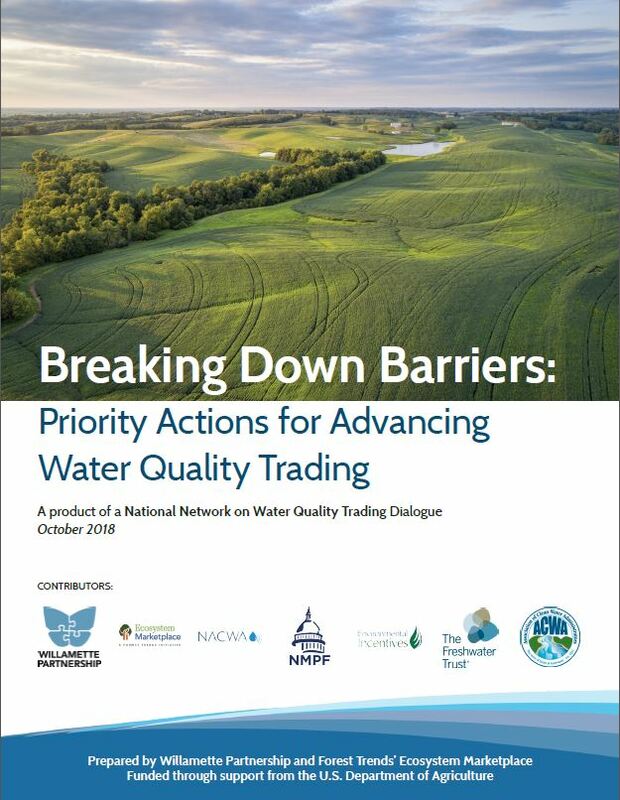 On February 21st, 2019, report co-authors Willamette Partnership and Forest Trends Ecosystem Marketplace hosted a webinar to dive into the report’s findings and explore the individual and collective actions needed to move forward with water quality trading and other market-based approaches to clean water. Watch it below! The National Network is funded through a cooperative agreement with USDA NRCS.